Our dramatic Gate Tower Award elevates achievement to the highest level. 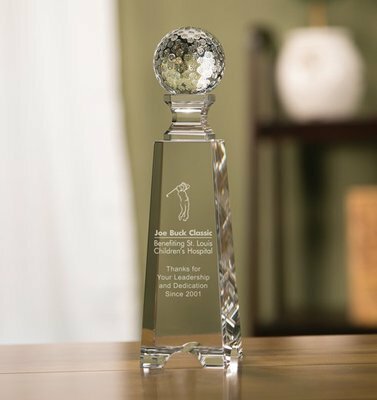 This elegant trophy is made of fine optical crystal topped with a stunning optic golf ball design. Available in three sizes, your stylish award comes packed in an attractive presentation box.